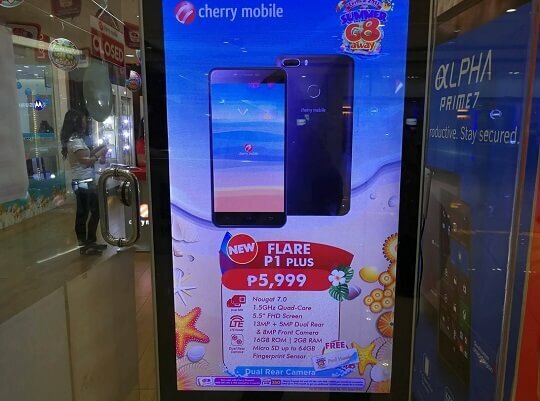 Together with the Flare P1 , Cherry Mobile will also soon unveil its bigger brother, which packs bigger screen and beefier specs, the Flare P1 Plus. Just like its smaller sibling, the Cherry Mobile Flare P1 Plus has dual rear cameras as well, but this time around it comes with 13MP + 5MP main shooters. We still do not know how this feature will be implemented, but if we will base our assumption on other brands, we can say that the higher resolution captures the details, while the lower one is for additional depth for that bokeh effect. The details about this handset is still a bit scarce, but as per the digital creative, it sports 5.5-inch display with a Full HD panel powered by 1.5GHz quad core processor coupled with 2GB of RAM, 16GB of ROM, and runs on Android 7.0 Nougat. The other specifications known so far are dual SIM with LTE connectivity, 8MP front camera for taking good selfies, expandable storage using a micro SD card up to 64GB, and a fingerprint sensor mounted on the back. It will be priced at Php5,999 once available with free food voucher!